As HR staff, your inbox might be inundated with multiple leave requests for approvals. Now, you can set aside the tedious work by customizing your organization's leave types and entitlements. 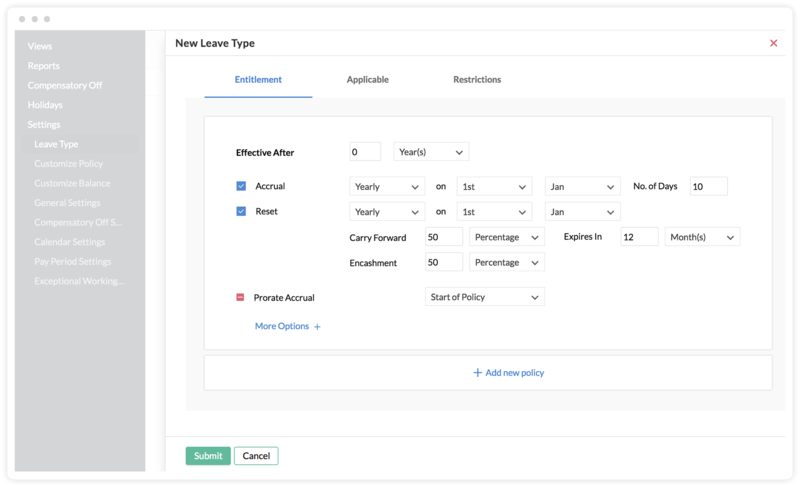 Customizable leave management means you can make the system your own. It also means calculating leave entitlements, PTO, rollovers, and accruals is a whole lot easier. And if you have offices in different states or countries, you can configure holidays for each location. Employees can see how much leave they've taken, how much remains, and apply for time off from the web or their mobiles. Let employees know who's in and who's out of the office, and make it easier to schedule meetings. Zoho People gives you access to comprehensive reports that detail the leaves taken and remaining for each employee. The LOP and Payroll reports will give you a count of the number of days to be paid for each employee or to be counted as Loss of Pay. 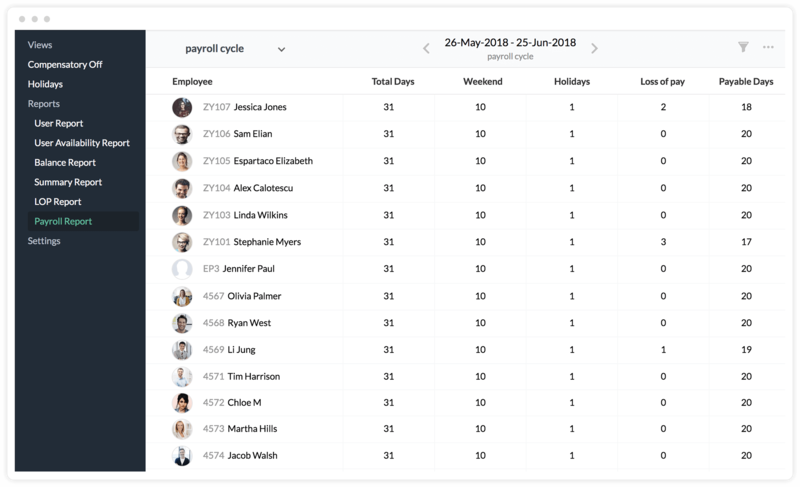 Admins and managers can also get organization and department-wide reports. Turn absences into leaves with automatic scheduling. This makes it easier for HR to identify who is eligible for rollovers or if someone should be moved into a reduced pay pool.